I’m guessing that you didn’t get my response to your contact form submission (sent on Oct 22), right? Anyway, as far as I can tell, you’ve pasted the example code almost without modification. Does your plugin actually have a “my_plugin_settings” option that contains an associative array with a “license_key” key? If it doesn’t, then the wsh_filter_update_checks won’t do anything. 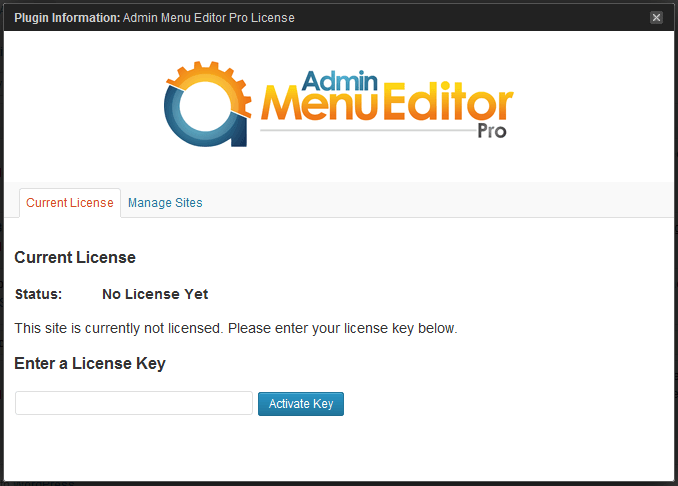 It can’t append a license key if there is no license key. You’ll need to change the example code to retrieve the key from the place where your plugin actually stores it. That was an error. Thank you for spotting it. I’ve fixed it. Thank for sharing this code. I will use this on my new website. If I have any doubt, can you give me soon suggestion. Thanks for this helpful guide. You made it look simple. I am quite confused: How does license checking work with github, gitlab or (the one I use) bitbucket integration? I have created my server class and handled license checking just fine, but it seems creating an instance of Puc_v4p4_Vcs_PluginUpdateChecker with a Puc_v4p4_Vcs_BitBucketApi bypasses license checking. Am I missing something? Cthulhu generated this page with 51 queries, in 0.942 seconds.